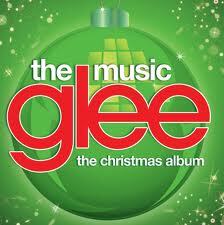 The Glee Christmas Album. I love the "O Holy Night" on this CD. My finally complete Willowtree Nativity. It took a few years, but I finally have all of the pieces. It is beautiful. 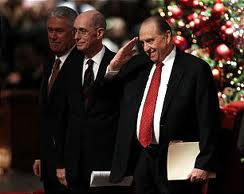 The First Presidency Christmas Devotional. I love these men and their messages are both inspiring and inspired. Click here, here, and here to watch. These two scents... 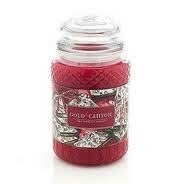 Vanilla Bean Noel from Bath and Body Works, and Peppermint Bark Candle from Gold Canyon Candles. 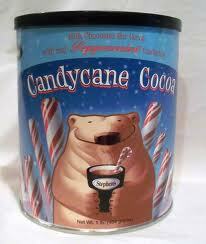 It just isn't Christmas without them. 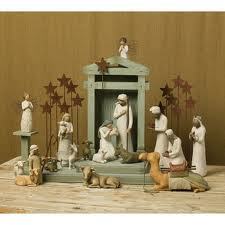 Most important of all, The Christmas Story. 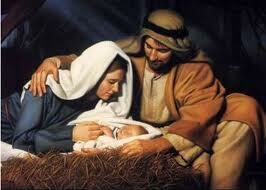 The birth of our Savior is the reason for the whole Christmas season. Click here to read the Christmas story as told in Luke Chapter 2. You guys have a Merry Christmas!